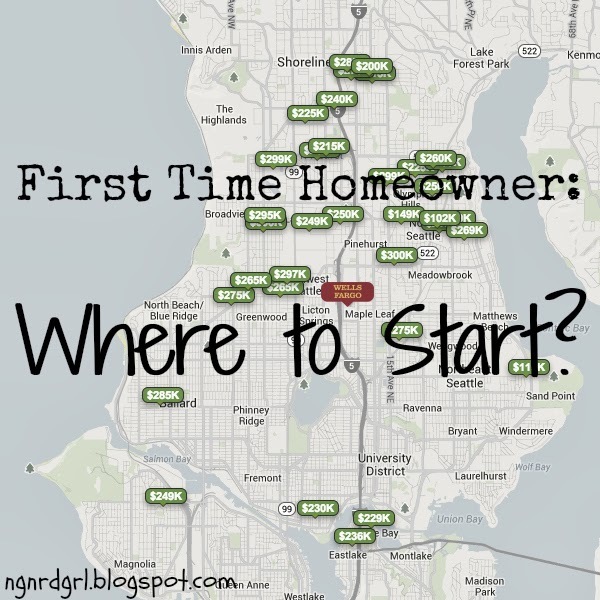 Making My Stead: First Time Homeowner: Where to Start? First Time Homeowner: Where to Start? Guess what? It is time. Time to buy our first home! Owning a home has been my dream ever since I was a little girl. Dreams of a big wedding? Forget about it! This little girl wants to be a homeowner! I've got visions of DIY home improvements dancing through my head. Thanks, Pinterest, for the bedtime stories. Right when we were thinking about starting our search, my work had a lunch and learn about employee benefits through [HomeStreet] Bank. What perfect timing! It turns out that getting a loan through [HomeStreet] bank and using their Affinity partners will land me several benefits that will reduce costs of buying a home. [HomeStreet] Bank home loans started when the City of Seattle realized their police, firefighters and city employees could no longer afford to live within the city limits. They started an employee benefit program to help get their employees into homes within the city. It has since been extended to county and university employees as well as various businesses throughout the area. I am fortunate that my employer decided to team up with [HomeStreet] Bank to offer these competitive benefits. Definitely check with your employer and see if they offer similar benefits through one of your local lenders. In Washington, a first time homeowner that makes less than $97,000 qualifies for downpayment assistance. This program works as a zero interest loan for the downpayment and closing costs. After you pay off or sell your home, you then pay off the down payment loan. These programs typically require a first time homeowner training session, so this was my next stop. Even if you aren't interested or qualify for the First Time Homeowner programs, these classes are still very helpful for getting up to speed on the process for buying a home. Even if this is your umpteenth home, you may still want a refresher before jumping back into the process. Oh, and make sure to check what the definition is for a “first time homeowner.” In WA, I believe it is someone who hasn't owned a home in the past three years. This means that even if you owned a home in the past, but don't currently own a home, you may qualify for First Time Homeowner benefits/programs. WSHFC Downpayment Assistance Programs - listing of all the different programs available and how to qualify. Many of these are income restrictive or have specific requirements. WSHFC Home Advantage Program - This is the program I might qualify for. $97,000 maximum income. Can qualify for up to 4% of total loan for downpayment assistance. I enrolled with a class through [HomeStreet] Bank, but there are tons of classes offered throughout the state by different folks. These sessions are free and work to everyone’s benefit. You get all the tips and info from professionals and they get potential clients. Everyone wants to work with someone that they have met versus a stranger. If you are interested in the First Time Homeowner programs in your area, make sure the session you attend provides a certificate of completion afterwards. This certificate is required to qualify and is valid for two years. The class covered a wide range of topics and lasted 8 hours. I took mine over two nights after work. It was exhausting! One of the things I learned is to not do anything financial until you talk to your lender about it. Anything from buying a car or paying off creditors could affect your credit score and make it more challenging for buying a home. Your lender should be your personal financial advisor during the home buying process. You will want to keep a folder of your bank statements and pay stubs for the past 60 days prior to pre-approval AND prior to buying a home. If you get any untypical deposits (selling a vehicle, expense reimbursement, gift from a family member, etc. ), you will need to be able to explain where the money is coming from. Because of how shaky the lending business is from our economic collapse, lenders have to be sure that you can afford what they lend you. It’s important to understand your finances BEFORE looking at homes. Nothing is worse then falling in love with a home and then finding out that you can't a. Also, when you make an offer on a home, the turn around time is incredibly tight. Not having pre-approval on a loan will make this much harder. Don't close existing accounts - this will negatively impact your debt to credit ratio and affect your credit score. Don't pay off old debts in collections - this will bring old stuff current and will negatively impact your credit score. Just wait to pay them off until after you purchase your home. annualcreditreport.com - this is the official site for getting one free credit report per year. You should ALWAYS check your credit report annually. This will help make sure there aren't mistakes or you haven’t been the victim of identity theft. See homes you don't want. This will help solidify what you do want. You can borrow against your 401k for up to $10,000. During negotiations, you can ask that the seller pays a portion or all of the closing costs. For instance, if the house is listed for $200,000, you can offer $205,000 and ask that they pay $5,000 of the closing costs. Buy sooner rather than later - prices and lending rates are just going to go up. If you don't plan on staying in the house you buy for at least 10-15 years, then don't buy. You won't make money from the purchase. Buying a home is a long term investment. Example Loans - comparing monthly payments, downpayment requirements and closing costs for three types of loans: Conventional, FHA and VA loans. As you can tell, there was a ton of information provided in our resource packets in addition to the class. Most of the items were reviewed in class. So that’s what I have so far. 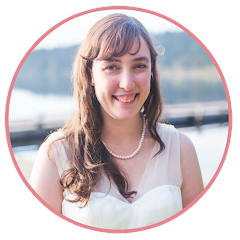 It is always great to blog about what I have learned. It really helps solidify everything in my head. Reviewing all the information in my packet has helped me prep for the next step. My next step in the process is applying for pre-approval on a home loan. I have started the application online, but ran into some hiccups. I have sent my lender an email requesting help. If nothing else, attending this class gave me great contacts to go to for assistance and questions. It's great to have contacts for someone that you have already met and interacted with. It just makes the process more comfortable. Once I get pre-approval on a home loan, I will set up an appointment with my real estate agent and start the home search process. We already have a list of homes we are interested in looking at. Are you a homeowner or are you in the process of homeownership? What are some tips you can offer me as I start my journey towards homeownership? Yay! I'm excited about following along with you on this journey because we're taking steps forward to buy our own place, too! In fact, we started seriously looking this August...and we're now working with a buyer's agent to hopefully find something that is a good match for us. We have verrrry particular hopes and dreams, and we realize we might need to compromise on a few things in order to find a place in our price range that actually EXISTS, but we're learning a lot just by getting out there and seeing things. Also, we got pre-approved for a loan, and now we're going to finalize that approval process to see some cold hard numbers on what we can reasonably afford. Anyway, wish we could chat it up over coffee (as always), but thanks so much for sharing what you're learning! I'm going to pass this post onto Mark, so he can glean some of your wisdom, too! Oh, that is so cool! We're doing this at the same time! I just got the first paper work for my pre-approval. I have a few more papers to submit, but my lender feels confident that what she has given me is what I have to expect. I decided to go with the lender and real estate agent that taught the first time homeowner class. A coworker of mine took the class a couple months before me and she is closing on a house this month. She worked with the same bank and real estate agent. I am so excited! We definitely have some things in mind, but I am definitely planning on settling. Housing in Seattle is expensive. I'm hoping we can find something in the area we want, otherwise we might have to choose a different part of Seattle or go just outside of city limits. We'll see! Wish we could sit down together over coffee and chat all about this! These are all helpful tips, Bethany! Getting a loan can be daunting. And in fact, a lot of people have been declined when they applied for one. But with enoiugh persistence, and most of all, knowledge on what to do, securing a loan is attainable. Cheers! The 144th Kentucky Derby happens on Saturday, May 5 and, as ever,Breeders Cup 2018 Live Stream the Run for the Roses guarantees to be the most thrilling race on the wearing logbook. The Derby is the main leg of the Triple Crown and is kept running by three-year-old pure bloods at Churchill Downs in Louisville, Kentucky. Melbourne Cup 2018 "He can put a field to the sword and support a jog. They are two of the correct credits you have to win a Melbourne Cup," McDonald said. "He can race anyplace in a field and he doesn't raise a hair. "He is prepared by the best coach on the planet and these Europeans have no issues going into the Melbourne Cup this way."